As jute is a long staple fiber, it is produced by long staple spinning process. Naturally, jute is a long, soft, shiny vegetable fiber that can be spun into coarse strong threads. There many kinds of useful product made by jute yarn. Hope this process flow chart of jute spinning will help you to understand who jute spinning is done. 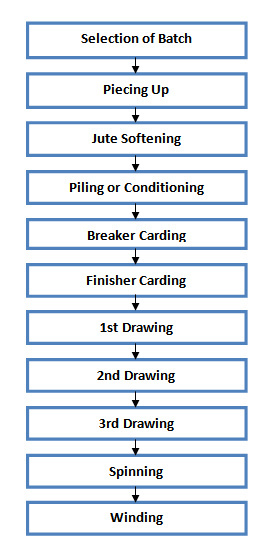 The sequence flow of jute spinning is followed by a selection of batch=>piecing up=>Jute softening=>Piling or conditioning=>Breaker carding=>Finisher carding=>1st Drawing=>2nd Drawing=>3rd Drawing=>Spinning=>Winding (Spool or cop winding). If you like this article please do not forget to share on facebook and put your valuable comments. Advanced fiber testing system high volume instrument is used to determine fiber properties in bale management system. It is fiber classing system. 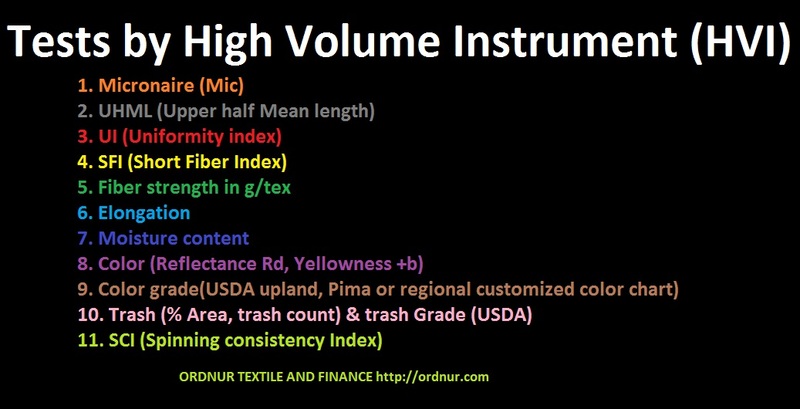 HVI is used to determine fiber length, strength, maturity, micronaire and other properties of the cotton fiber. HVI test report helps to law down the same properties bale before mixing. Mixing is a very important process for spinning. Upper Half Mean Length means length by weight of the longer 50% of fibers. A coefficient is calculated by means of various quality characteristics by a multiple regression analysis. The SCI used is calculated with the original formula provided by USTER. The main benefit of the SCI is a simplified selection of bales for a predetermined blend of fibers as well as the long-term check of the say material blend. • Area of the sample covered with trash particles. • A number of trash particles in a sample. Bale management is the first step of spinning. 40% yarn quality come from bale management. Good bale management give good result in yarn manufacturing. Good mixing depends on good bale management. *Ideal Moisture percentage for cotton fibre 7.5% to 8.0%. 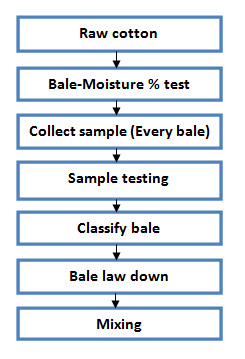 *According to test result same properties of bale should lay down for mixing. Blow Room: There are some methods of opening the mass of fibres into small tufts before further processing. This process of opening & clean is knows as blow room process. Blow room consists of a number of m/c degree 40% to 70% trash is removed in this section. 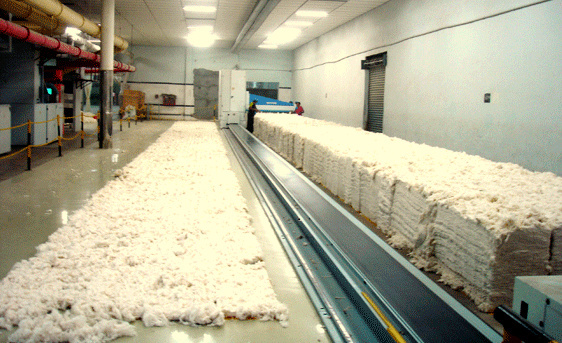 To open the compressed layer of bale of cotton or any staple fibers with minimum damage to the fibers. To remove the impurities like sand, seed, bits, neps & short fibers present in the cotton with minimum loss of lint by opening & blending. To effect a through blending with minimum neps formation. To convert the mass of cotton fibres into a uniform thick sheet of cotton both longitudinally & transversely &fed as it in the case of chute feed system or wound in the form of a compactly built lap with minimum lap rejection. 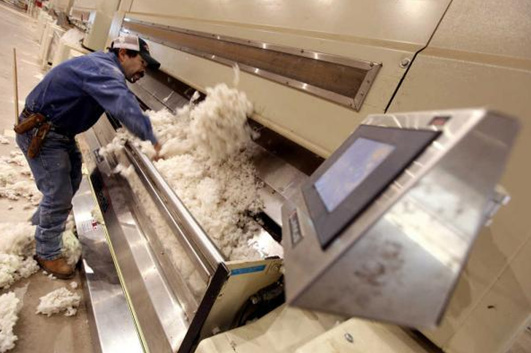 Intensive de-dusting of cotton fibres to extract micro-dust in order to improve the working of opened spinning m/c. Fibre recovery from the waste produced by the various processes the conversion of fibre to yarn in order to reduce the consumption of raw material. Opening is the first operation required carried out to the stage of flocks in the blow room & to the stage individual fibres in the card flock weight can be reduced to about 0.1mg in the room. The blow room cannot eliminate all or even almost all of the foreign matter in the raw material. 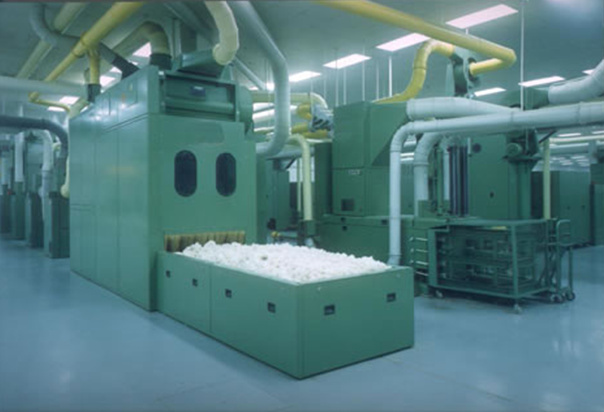 A blow room installation removes approximately 40% to 70% of the impurities. The result is dependent on raw material on the m/c s & on environment. Dust removal is not easy operation since the dust particles are completely enclosed in the flocks & hence are back during suction. The suction units remove dust 64 dust removal will more intensive the smaller the flocks. Fibers can be blending at various stages of the process. These possibilities should always be exploited. The start of the process is one of most important stages for blending. Intensive blending in a suitable blending m/c must be carried out after separate flock extraction from individual bales of layout. This blending operation must collect the sequentially arriving bunches of fibers from individual bales & mixes them thoroughly. Finally the blow room must ensure that raw material is evenly delivered to the cards. Previously, this was carried out by means of precisely weighed laps from the scutcher, but automatic flock feeding installations are increasingly being used. While in the introductory phase such installations were subject to problem regarding evenness of flock deliver, today they generally operate well or at least adequately.